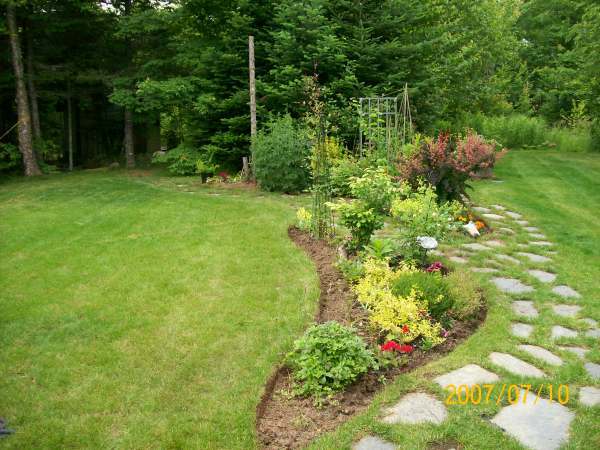 Backyard landscaping photos is a mixed collection of many different ideas. The possibilities are endless, but It's is all about what "you" and your family want and need. 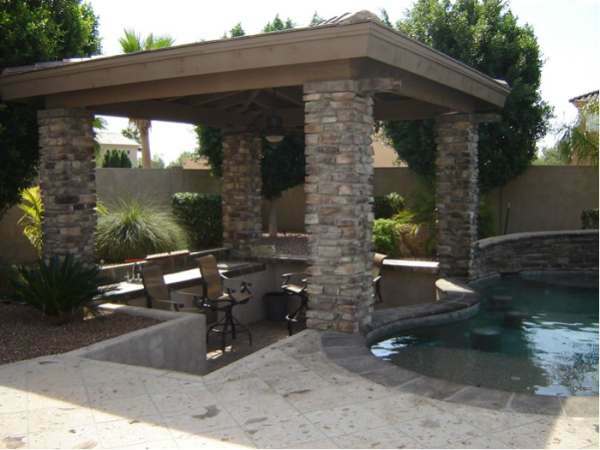 Enjoy the backyard landscaping ideas we have and stay with us as we will be adding many new pictures with our photo gallery expansion for 2015. You can also follow us along with nearly 200,000 others on Pinterest. 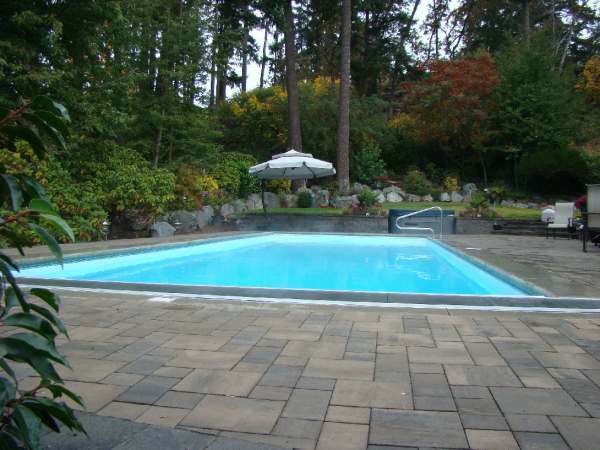 We have over 16,000 landscaping pictures in over 80 different specific categories. If you are wondering what else we have at Dream Yard, you can visit our site map as an easy way to navigate. 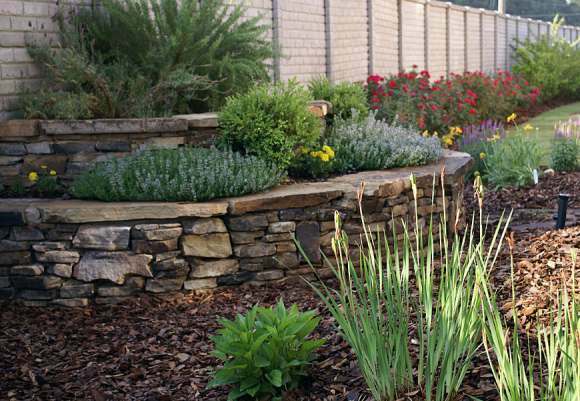 A backyard perennial garden makes a nice border following the perimeter fencing. 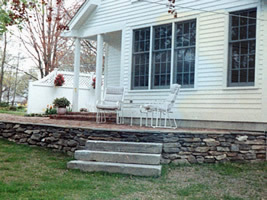 A nice focal point in the corner is a raised bed on a natural stone wall. Natural mulch in front of the wall accents the stone. Click on any landscaping photo to open a gallery slideshow of all the photos on this page. Find more backyard photos by clicking on the link at the bottom of the page to open other galleries. 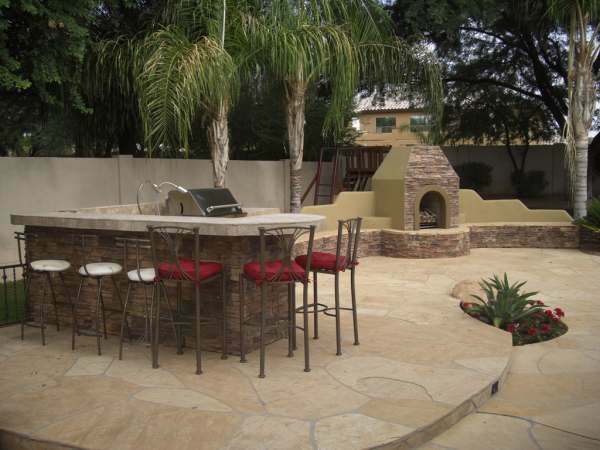 We hope you enjoy the backyard pictures in our ideas section and they give you inspiration for your backyard landscape designs. 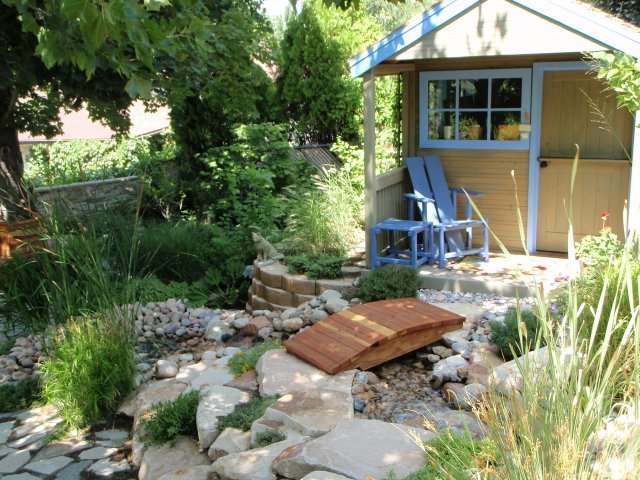 Visit "The Yard" Landscaping How-to modules if you are planning on installing your own projects. 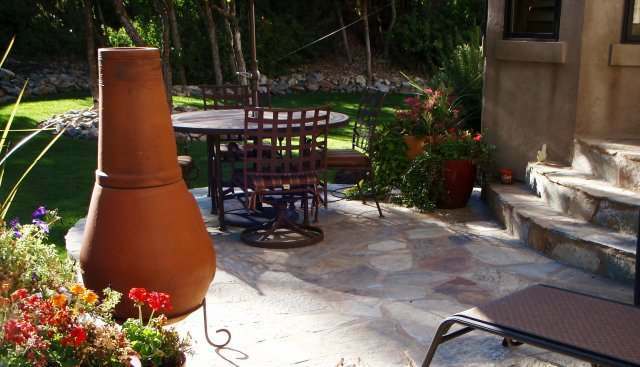 For more information on backyard landscape design, check out our article on Back Yard Landscaping. 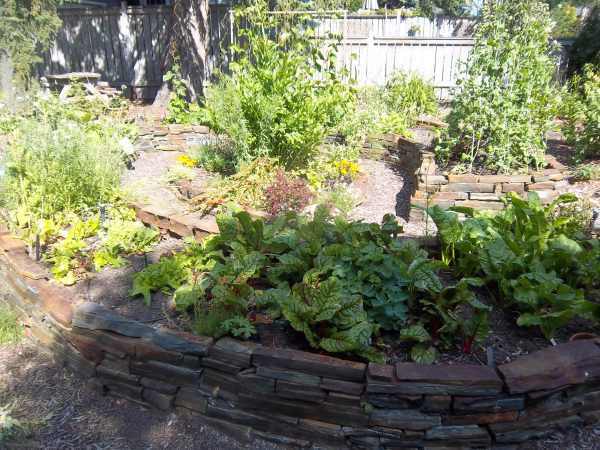 A back yard full of character using raised garden beds. The natural dry-stacked stone walls and gravel walkways create a peaceful place for a stroll. Picture compliments of a homeowner with a dream yard. while adding some interest to the yard. overflowing with lush plantings add a nice touch to the whole scene. of years old but looks like it has been there for many years. with their own private play area in the back. this cute little porch sitting area. boulders bring the two together in harmony. 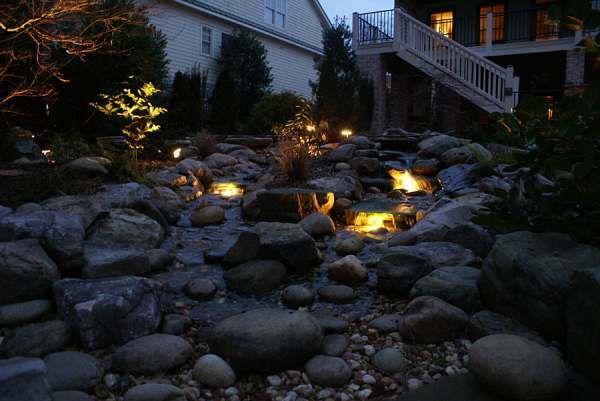 This pondless water feature looks like it came right out of nature with a split stream and a center island planting. It's important with water features to have just the right size, selection and placement of stones, like this one does to achieve a natural look. Lighting under the cascades is a nice added feature.